A thoughtful and interesting article on Vaillant House is featured on the Rural Intelligence site. Offering his insights about the property is longtime Washington, CT builder/contractor Sean Woodward, "What's funny about the house is that you could drive down that road and not even know that it's there." The writer elaborates,"The house" he is referring to is the Vaillant house, after the family who owned it for more than a century and who are all descendants of decoration artist Louis David Vaillant. 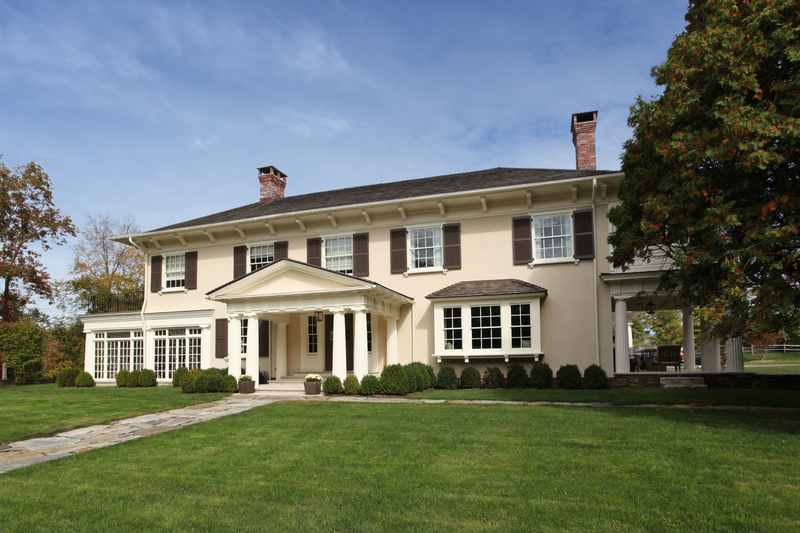 More than three years ago, the remaining Vaillants gathered their votes and decided that it was time to sell the 8-bedroom, three-season Italian villa, one of the first homes in the area designed by famed architect and almost-native son Ehrick Rossiter." At the time, an article was written in the Wall Street Journal about the sale of the family home. 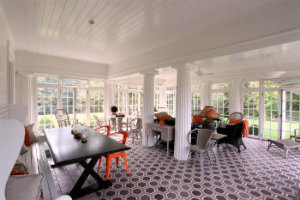 Luckily, the home has been lovingly restored and designed to the highest standards. The article highlights the renovation and interior decoration that has enhanced this historical house. 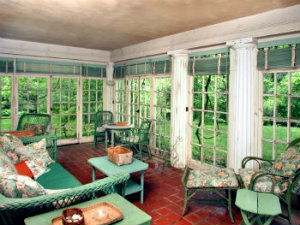 Here are the two before and after images of the exquisite sunroom. To read the entire story, click here.